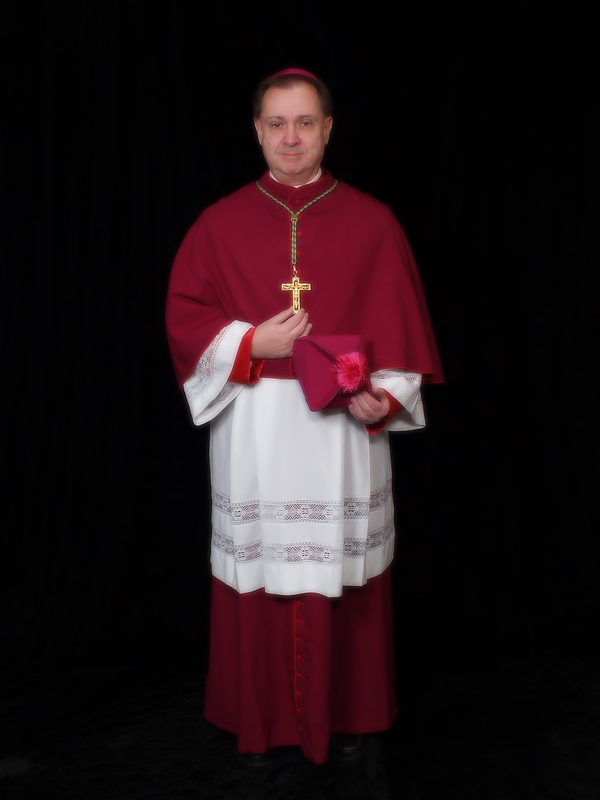 Bishop James Alan Wilkowski was born in Chicago, Illinois on November 18, 1953. He is the son of Warren and Mary Sertich Wilkowski. The Bishop's father was a 45 year employee of Wisconsin Steel Works which was part of the International Harvester Company in Chicago. The Bishop's parents meet while his mother also worked in the mail department at Wisconsin Steel. During the era of the Depression and WWII, the Bishop's mother worked at an airplane assembly plant in Chicago before going to work at Wisconsin Steel. Growing up in the 10th Ward of the Southeast Side of Chicago, the Bishop graduated from George Washington Elementary School and later from James H. Bowen High School - the same high school where the Bishop's father and paternal uncles also graduated from. The Bishop received his Bachelor of Arts degree from Governors State University in Social Studies education. The Bishop began his formational journey at the age of 27 when he entered Sacred Heart School of Theology in Hales Corners Wisconsin under the sponsorship of the Roman Catholic Diocese of Joliet. After rejecting the sexual advances of a priest on the formation team at Sacred Heart, James was manipulated into leaving active studies to take a parish assignment back in the Diocese of Joliet until such time as he would be welcomed back to Sacred Heart to complete his studies. When the Diocese of Joliet chose not to continue its sponsorship, James transferred to the Diocese of Jefferson City Missouri and continued his academic studies at Kenrick Seminary and took on the extra academic responsibilities of working simultaneously towards a Masters of Pastoral Studies at Loyola University in Chicago. In 1988, he was awarded his Masters of Pastoral Studies from Loyola and also his Masters of Divinity from Kenrick Seminary. During his last year at Kenrick, a priest from the Diocese of Jefferson City became a sexual blackmailer and abuser forced himself into James' life at seminary. After all of his academic requirements at Kenrick were fulfilled, James reported the abuse to the seminary and to his director of vocation, the future Bishop Anthony J. O'Connell, who promised his attention to the matter but did nothing. After graduation from Kenrick, James was assigned to St. Brendan's Church in Mexico Missouri to await the date of the ordination as Deacon. On October 31, 1988, James was summoned to the office of Bishop Michael McAuliffe to be notified that his reporting of the sexual abuse and blackmail done to him had caused "consternation within the internal forum of the diocese" and plans for his ordination as Deacon were cancelled. James was to vacate the rectory at St. Brendan's within 24 hours and return to Chicago. A check was handed to James for $250.00 - a check that James placed back upon Bishop McAuliffe's desk and walked out of his office and returned to Chicago. Upon returning to private life, James resumed his career in education and enjoyed the prerogatives of private life and mortgage payments. But not for long - for private life was not the vocation which God had in mind for James. In the summer of 1995, James' life accidentally crossed paths with Bishop Robert W. Martin and Archbishop Mark Shirilau of the Ecumenical Catholic Church when a former classmate of James' was being ordained to the priesthood in Illinois by Bishop Martin. 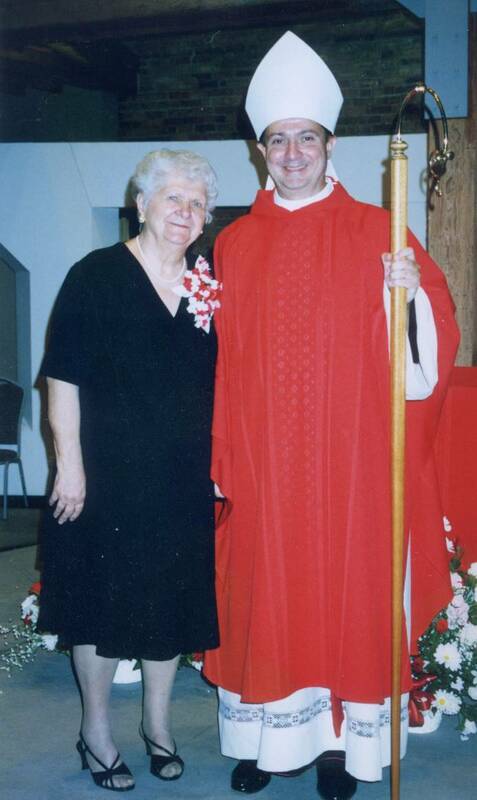 This chance meeting with Bishop Martin lead to a rediscovery of James' vocation to the priesthood and on May 25th, 1996, James Wilkowski was ordained to the priesthood by Bishop Martin, in Chicago, surround by his parents, family and friends. As per the nature within the independent or autocephalous catholic movement - James' ordination to the priesthood coincided with the establishment of the Mission Church of the Holy Family in Chicago and James as its founding pastor. After all of the celebrations surrounding his ordination were completed, James began the hard work at nurturing and developing Holy Family. Within the next 12 months, James was to experience two more significant life changing events. In December of 1996, James was informed by Bishop Martin that the church community was going to be restructured into four new mission dioceses and that James was being named Bishop for the newly established Mission Diocese of the Northwest. This news came as a complete surprise to James, but he accepted the call from his community to serve as one of its bishops. Shortly after informing his parents of the news as to his election as bishop, James' 83 year old father fell ill with a ruptured appendix. 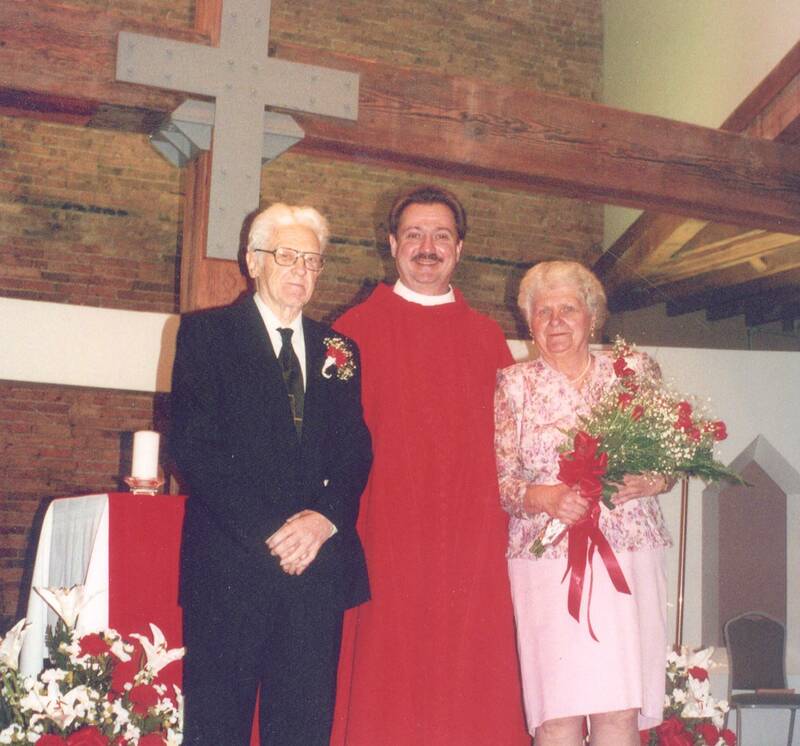 Due to the factor of age and an inability to thrive after surgery, Warren Wilkowski died on May 12th, 1997, thirteen days shy of his son's first anniversary of priesthood ordination. On July 7th, 1997, with a rose placed upon the seat of an empty chair next to his mother, James Alan Wilkowski was consecrated Bishop by the Most Reverend Robert W. Martin with the Most Reverend Michael Frost, the Most Reverend Floyd A. Kortenhof, the Most Reverend Michael Ronald Stienhardt Vogtand and the Most Reverend Raphael Byron De Ford as co-consecrators and was seated as the founding bishop for the newly created Evangelical Catholic Diocese of the Northwest. Since his consecration, Bishop Wilkowski has remained focused on the goals of building and developing Holy Family parish in Chicago and educating the public to the role and mission of this catholic faith community. Bishop Wilkowski has become an social and pastoral advocate for the rights and needs of military veterans, along with all those who suffer from social and pastoral marginalization. 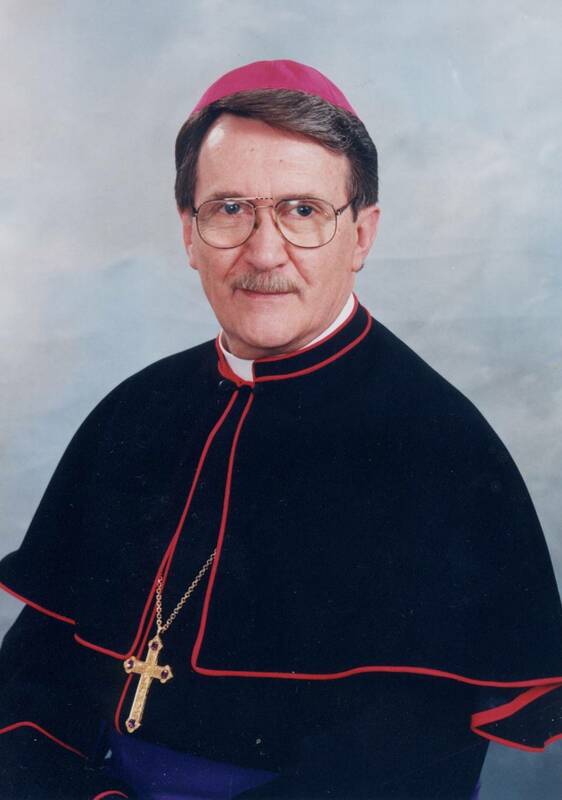 Since 1997, Bishop Wilkowski consecrated one bishop. To date, Bishop Wilkowski has ordained three candidates to the priesthood and is always willing to talk about vocations to the priesthood and religious life to anyone who is interested. On July 19, 2006, Mary Wilkowski was unable to overcome her eleven month struggle with colon cancer. She died peacefully at the age of 85 with her son at her bedside. A few days later the Bishop celebrated her Mass of Christian Burial. 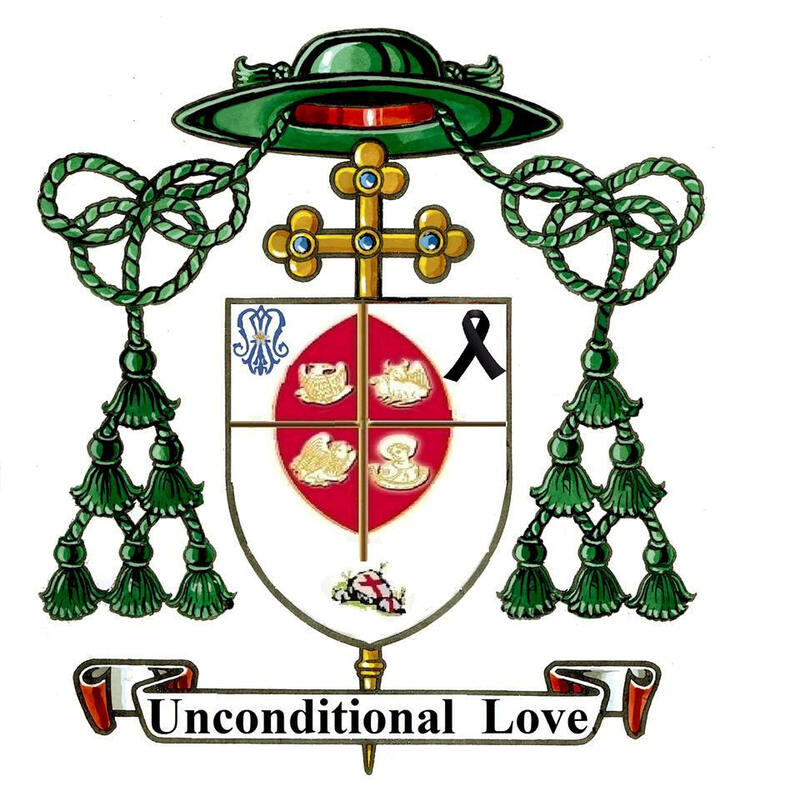 Less than a year after the death of his mother, the Bishop underwent emergency quintuple heart by-pass surgery on June 18th, 2007 in Chicago. Following a period of recovery and cardio-rehab therapy, the bishop resumed his schedule that October. Today, the Bishop continues to embrace a full schedule of obligations. In January of 2009, the Bishop published his most recent pastoral letter entitled, "Blessed are The Workers: The Importance of Protecting Labor"
The Bishop can be reached by email at bishopjames@evangelicalcatholicchurch.org and you can visit the home page of the Evangelical Catholic Diocese of the Northwest for the latest pastoral news and events.